Report: Israel Chess Federation asks that Saudi Arabia be denied the right to host world championship after denying Israelis entry. The Israel Chess Federation is demanding that the World Chess Federation (FIDE) deny Saudi Arabia the right to host the world championship for the next two years, following its refusal to grant entry visas to seven Israeli chess players so they can participate in the championship taking place this week in Riyadh, Army Radio reported Monday. The Israeli federation is also demanding the seven players be financially compensated. According to the report, an Israeli protest letter will be submitted to the heads of FIDE when the championship begins in Riyadh on Tuesday. In the letter, the Israel Chess Federation also demands that Saudi Arabia not be permitted to host future championships unless it agrees to allow the Israelis entry. On Sunday, Saudi Arabia confirmed that Israeli chess champions will not be issued visas, barring them from competing in the championship in Riyadh. Israeli athletes often face difficulties when competing around the Middle East due to hostility toward their country. Just last month, Israeli judokas who participated in a tournament in Abu Dhabi were barred from displaying their national symbols. The head of the Judo Federation in the United Arab Emirates later apologized for a local athlete’s refusal to shake the hand of his Israeli opponent. In a more recent incident, an Iranian wrestler was lauded by his government after he intentionally lost an international bout at a tournament in Poland over the weekend to avoid having to face an Israeli opponent. 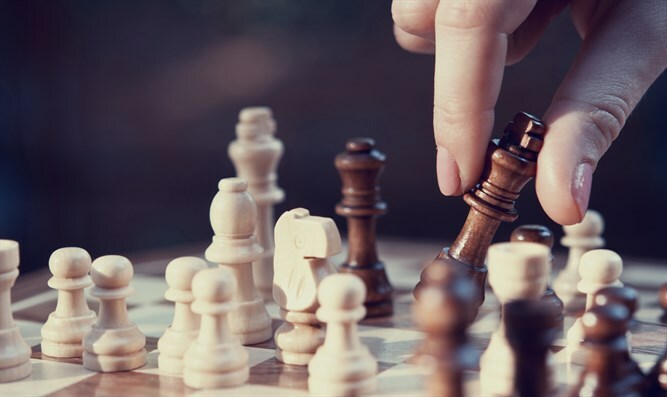 Earlier this year, Iranian chess officials banned a 15-year-old from domestic chess tournaments and the national team after he played against an Israeli opponent at an international chess event.